They may be irritating at times, but retinoids (or their over-the-counter doppelgängers, retinols) will never go out of style. The miracle ingredient is known to drastically improve skin’s texture, turning back the clock on aging. You can find retinol in a variety of night creams, serums and moisturizers in drugstore aisles and at beauty counters, and retinoids in prescription creams like Retin-A. 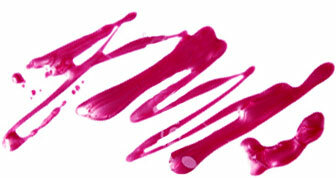 But now, the form of vitamin A has also found its way into the trendiest form of skincare: face oils. Both Sunday Riley and Verso have added their own versions of retinol into two luxurious oils, and their non-flaking properties are changing the way we feel about the ingredient all together. Scandinavian skincare brand Verso is no stranger to retinol. The brand’s Retinol 8 can be found in all of their products, from day and night creams, to cleansers to eye serums. Retinol 8 is said to be “eight times more potent than typical non-prescription vitamin A.” Verso’s latest launch, the Super Facial Oil, is the only facial oil with this form of concentrated vitamin A. It’s blended with rich sunflower and canola oils that not only moisturize skin, but also reduce inflammatory side effects from UV exposure. This dry oil feels like pure silk when applied, allowing your skin to soak it up almost instantly. Unlike other oils, this one is housed in three separate spray vials to maintain the purity and efficacy of this miracle ingredient. Yes, you spritz it on skin to avoid opening the vial and exposing the retinol to oxygen every time you apply. Once one vial is finished, you simply swap it out in the enclosed black case to keep it away from sunlight. Because of its strong ability to smooth, refine and clarify skin, you can use the Super Facial Oil on its own, or layer it with your daily serum or moisturizer. Use it day and night for a seriously luminous complexion. 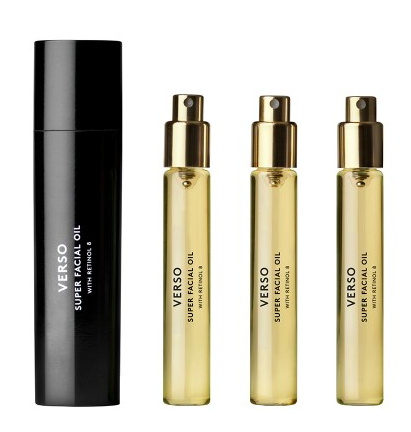 The Verso Super Facial Oil with Retinol 8 ($195) is available at Barney’s New York and Sephora. 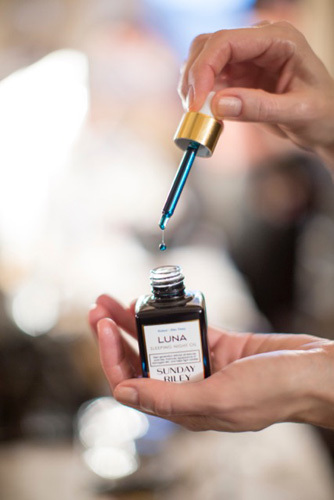 This pretty blue night oil from Sunday Riley is made up of a slightly different kind of retinol, called trans-retinol ester, a potent blend of all-trans retinoic acid belonging to a class of retinoids. This advanced complex makes lines and wrinkles more shallow, while correcting sun and environmental damage and reducing pore size. Sleep masks have nothing on this baby. It’s blended with blue tansy, a poisonous-if-ingested flower with insane antibacterial, anti-inflammatory and soothing properties similar to chamomile. It’s what keeps your skin from freaking out over the retinol complex, a.k.a. no redness or irritation when you wake up the next day. You can see the beautiful results of this oil after just one night. Pores are smaller, skin tone is more even and your overall complexion is beaming with light. But make sure you only use it at night as it does leave a Smurf-like tint on your face when you first apply it. 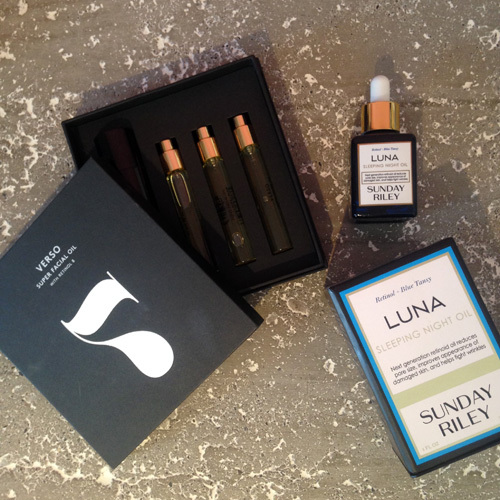 Sunday Riley Luna Sleeping Night Oil ($105) is available at Sephora.